JASPER, ALBERTA — Many destinations market their premier culinary-focused events as opportunities for exclusive dining and socializing with celebrity chefs. Few places I’ve been to deliver the level of fun and interaction with chefs, and other guests, as well as Jasper. 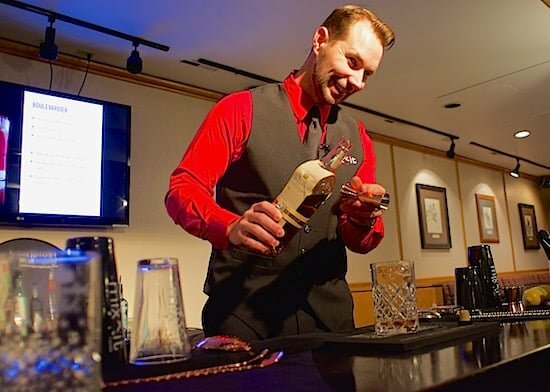 During its annual Christmas in November event, the Fairmont Jasper Park Lodge transforms into a multi-day party featuring cooking seminars with some of Canada’s leading culinary talents, extravagant dinners, dancing and late-night partying. All of these elements happen across the country at several times of year and in similarly opulent settings. But what sets Christmas in November apart from other culinary festivals I’ve attended is the level of organization and, more than anything, the setting. 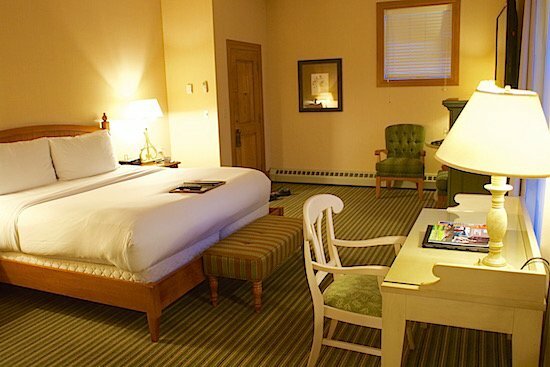 The lodge is in the heart of Jasper National Park, the largest national park in the Canadian Rockies with an area of 10,878 square kilometres. That size is more than 4,000 square kilometres greater than the more well-known icon to the south, Banff National Park, and nearly twice the size of Prince Edward Island, Canada’s smallest province. Once you’ve checked into the sprawling property that covers 700 acres of Alberta wilderness, you aren’t likely to leave until you check out. Much of Jasper Park Lodge resides on the shores of picturesque Lac Beauvert and with Mount Edith Cavell, named after a World War II British nurse, presiding as a stunning backdrop. 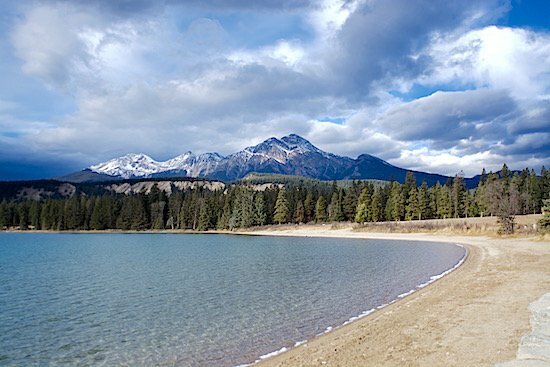 Hikers can venture for short walks around Lac Beauvert, or slightly longer jaunts to Maligne Canyon or Lake Annette, a beautiful and secluded location with a sandy beach and more glorious mountain views. Big-horn sheep and elk are likely to be spotted on some of the routes, or even on the lodge’s property. 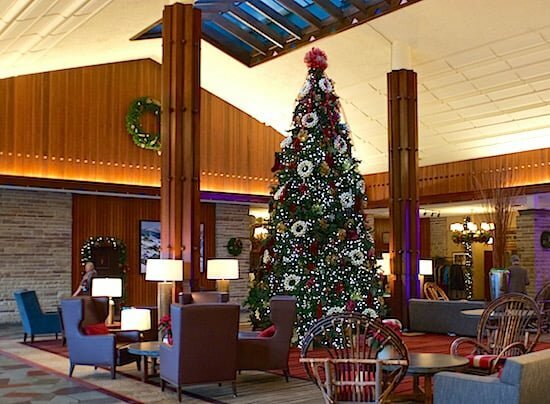 The hotel itself invites you to relax in its chic and historic common areas, including an airy lobby that houses a giant Christmas tree for the holidays and cozy fireplaces. All of those features are available year-round, but what makes the Christmas in November celebration — as well as other festive events in the lodge — so attractive and unique is the feeling of remoteness. It takes about four hours by car to reach Jasper from Edmonton, almost five hours from Calgary and about six hours from the nearest city in British Columbia, Kamloops. Making it to Jasper involves some commitment and effort. Accomplishing the feat also has its rewards. By the end of the weekend, you and the other festival attendees, including those celebrity chefs, have dined together, chatted over drinks at the bar, learned to make curry or cocktails, and danced till late in the night. 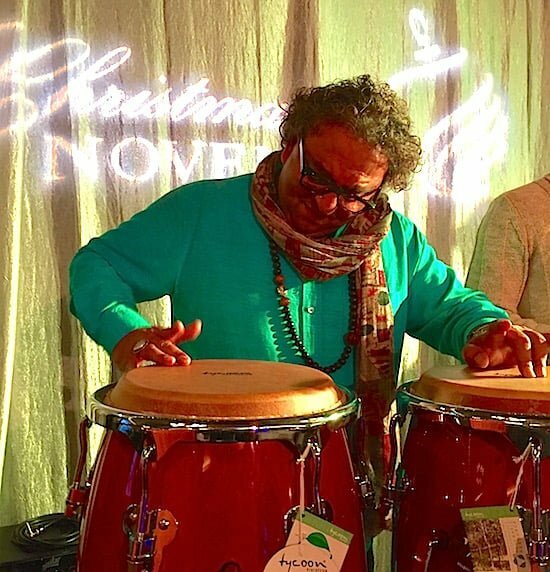 In this year’s case, guests hobnobbed with Mark McEwan, proprietor of several high-end Toronto restaurants, and danced away with Vikram Vij, who took to the event and his role as one of the headliners with vigour. Guests also learned the brilliance of Anna and Michael Olson, who not only cooked divine dishes but also tapped into their depth of knowledge to pass along a stream of kitchen tips that many in attendance will put to use in their own homes. “This event is so much fun because people love being here and being together. Everything takes on a life of its own here,” says Vij, who demonstrated his philosophy for developing Indian cuisine in the same way his peers discuss French and Italian cooking. The annual event runs 10 days and is broken into three packages covering two weekend stays and a midweek segment. A record 1,500 people attended the 2016 edition and not all were Albertans. Among those who came from far afield were a couple from Nova Scotia and another pair from Victoria, British Columbia, as well as some American and Ontarians who were eager to be a part of the event. Closing in on 30 years, Christmas in November has built a reputation as a culinary experience foodies want to see for themselves. It was instantly clear why. The ability to interact with the chefs in a human way was tangibly meaningful for many of the attendees. 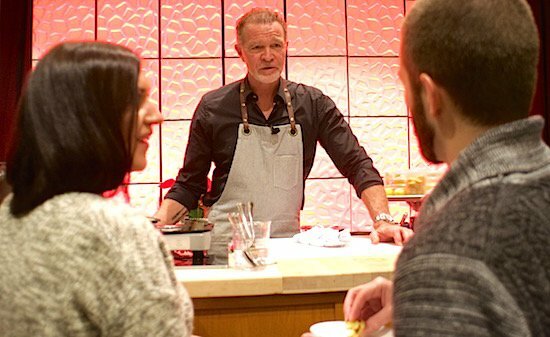 Unlike culinary events that take place in cavernous conference halls and have a crush of people seeking autographs, the laid-back nature of Christmas in November allowed guests to spend more time conversing with McEwan, Vij, the Olsons and others. There were discussions about food quality, food advocacy and what defines Canadian cuisine in the 21st century. Many of the attendees were passionate home cooks themselves, which created an atmosphere for knowledge sharing and strong discussion. Impressively, the staff helps facilitate these interactions by keeping the food coming and the drinks flowing, managing line-ups and spreading out the event’s attractions through multiple locations on the property. A design house featured sensational, and sometimes outrageous, decor from Edmonton-based decorator Cory Christopher, while a Man Cabin was a gathering spot for beer and scotch drinkers (and foosball players). “Historically, CIN has had a strong culinary and design focus. 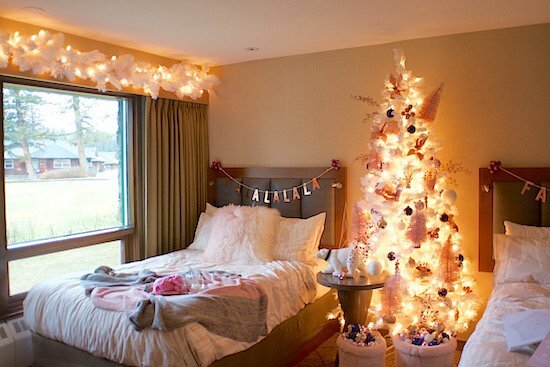 Each year, we collect feedback from our guests and we are seeing different age groups and therefore we are constantly trying to add content to maintain all the traditions of Christmas in November while showcasing innovative ideas and concepts,” says Ken Hall, general manager of the lodge. The programming involving the chefs and mixologists was strong, with the only low point being an Italian wine-tasting seminar that featured mediocre varieties (there was not a Brunello di Montalcino wine to sample, for example). Jasper is noted for being “the land of one million Christmas trees.” It’s also home to one stellar holiday event that continues to excel even after nearly three decades. Room Rates: A recent search of the property’s website returned a weekend room rate in January for as low as $216 per night.